It is the world’s oldest tale: the story of Eve, her husband, Adam, and the tragedy that would overcome her sons…. In this luminous debut novel, Elissa Elliott puts a powerful twist on biblical narrative, boldly reimagining Eve’s journey. At once intimate and universal, timely and timeless, this unique work of fiction blends biblical tradition with recorded history and dazzling storytelling. And as it does, Eve comes to life in a way religion and myth have never allowed—in a novel that explores the very essence of love, motherhood, faith, and humanity.In their world they are alone…a family haunted by banishment, struggling for survival in a harsh new land. A woman who has borne and buried children, Eve sees danger shadowing those she loves, while her husband drifts further and further from the man he was in the Garden, blinded by his need to rebuild a life outside of Eden. One daughter, alluring, self-absorbed Naava, turns away from their beliefs. Another, crippled, ever-faithful Aya, harbors a fateful secret, while brothers Cain and Abel become adversaries, and Dara, the youngest, is chosen for a fate of her own.In one hot, violent summer, by the shores of the muddy Euphrates, strangers arrive on their land. New gods challenge their own. And for Eve, a time of reckoning is at hand. The woman who once tasted the forbidden fruit of paradise sees her family unraveling—as brother turns on brother, culminating in a confrontation that will have far-reaching consequences for them all.From a woman’s first awakening to a mother’s innermost hopes and fears, from moments of exquisite tenderness to a climax of shocking violence, Eve takes us on a breathtaking journey of the imagination. 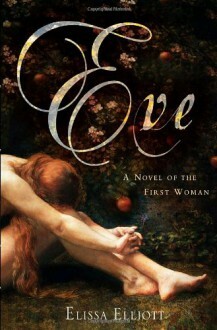 A novel that has it all—romantic love, lust, cruelty, heroism, envy, sacrifice, murder—Eve is a work of mesmerizing literary invention by a singular new voice in fiction. Thanks to Goodreads for an advanced copy. While I enjoyed the book I found it to be a bit slow moving. The characters are very likable and it's nice to hear things from Eve's side. Overall an enjoyable read.